The heat wave that pushed inland temperatures into triple-digits for days is finally wearing off, but farmers are still figuring out how it will affect their crops. It's a mixed bag, depending on what a farmer grows. 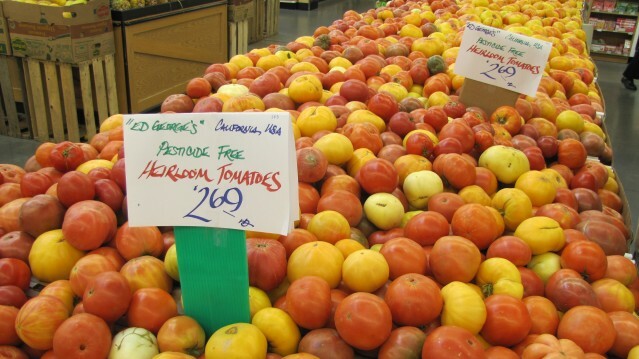 "Fruit can actually get sunburned," explains Dave Kranz of the California Farm Bureau. Walnuts and tomatoes can, too. So, Kranz says, some farmers paint a protective coating on the fruits, to help reflect the heat. Milk production may go down, too, since, Kranz says, "dairy cows will get a little bit stressed in hot weather, just like people can be." Other crops are happily soaking up the rays. Roger Scommegna from Napa-based Three Thieves Winery says the hot weather means the grapes are producing a lot of sugar, which is a good thing. "It's a really good time for a heat wave. If we're going to have one, right now is a good time," he says. "We're going to get some good growth out of it." Scommegna says he adjusts hours when there's a heat wave, to help keep farmworkers safe; they start earlier, and get out of the fields before the hottest part of the day. It's too early to tell what -- if any -- impact the heat will have on harvests or on prices at the store.